And event organisers are offering attendees the great opportunity to meet not one, but five popular Insta-famous influencers during the show. 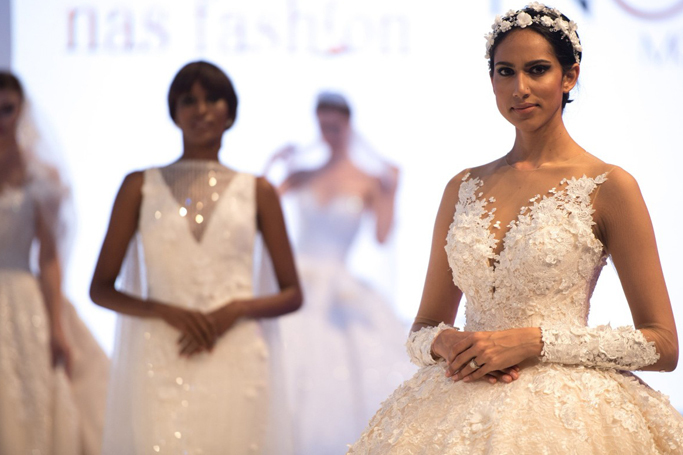 Meet and greets will be available with all five throughout BRIDE Dubai, and these leading tastemakers are currently blazing a trial in the world of fashion, beauty, health and luxury. All be in attendance, offering their expert advice and tips with the goal of empowering women, especially brides, to make their wedding and life dreams a reality. You might recognise Noha from last year's BRIDE Dubai show - with over 7million Instagram followers, Noha is Kuwaiti, an engineer, mum winner of several awards. We've lusting over her cropped pixie hair cut RN! The half Kuwaiti, half Iraqi fashion and lifestyle influencer has over 2million followers on Instagram. This Emirati influencer has over 318k followers and her feed is filled with major inspiration and goals for all things fashion, good and travel. This Emirati ex-beauty editor has over 176k followers and is the founder of cosmetic tools brand Profound Beauty. With 507k followers on Instagram, Fatma is a leading influencer in modest fashion - and everything beautiful. She also holds a BA in Aviation Management and is co-owner of MAS Jewels.